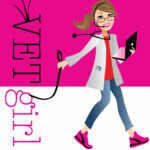 During veterinary school, I chose to extern at a veterinary practice in Alaska for a summer. What I didn’t know was that I was working for the most expensive veterinarian in the state. That said, I learned one of my most important veterinary “life” lessons that summer, which I still appreciate to this day. At the conclusion of my externship, the husband-wife team took me out for lunch, and gave me the sage advice: charge for your time and don’t feel guilty for it. He gave the example of a urine specific gravity. While it’s only a “number” and most veterinarians may not charge for it, you have to charge for your interpretation of it. After all, it took you 8 years of your life to learn what isosthenuria is, what diseases are associated with it, how to fine tune what differentials cause it, and most importantly, how to treat it. More importantly, what I learned that Alaskan summer is this: don’t feel guilty for doing your job… provided you are doing it well. After all, dentists, medical doctors, pharmacists, psychologists, and a lot of medical service-oriented professions all generate revenue, and are often commission based. In full disclosure, I’ve only ever been paid by the three of these five ways: flat salary, hourly, and ProSal. While I won’t go into too much detail on them, check out a great resource from AAHA1 on the definitions of these types of compensation and the specific pros and cons of these types of compensation. Most of the veterinarians that I know (e.g., primarily ER vets and specialists) are ProSal, percentage, or straight commission. The benefit is you’re paid for what you provide. If you’re highly motivated, you get paid more. If you’re slammed, you get compensated for having a really stressful, insanely busy day. If you have to stay for several hours past your shift to provide care to patients, you’re likely compensated for it and are less likely to complain about it. However, if you’re the opposite (like trying to triage cases away or behind due to inefficiencies), working on production-based commission has its cons, as you don’t generate as much. Personally, I think this is can be fair: you aren’t paid for not generating revenue and saving lives, so if your production is not as high, you don’t get as much compensation. The more dangerous con of commission? It may potentially make you sell or push towards more expensive diagnostics or procedures in an unethical manner, or fight with colleagues over “who gets the ultrasound.” Sound trite? It’s real. I’ve seen people admit cases where owners have significant financial constraints (having to apply for Care Credit to facilitate hospitalization), when realistically, that patient may have sufficiently responded to “street medicine” in the form of subcutaneous fluid therapy and antibiotics. Likewise, I’ve seen veterinary staff fighting over who gets the “tick titer.” The veterinarian who drew it, or the veterinarian who has to call the pet owners with the results? My take? It all washes out in the end if you have a good team that is willing to realize this. Give and take, and ultimately, I do think it evens out. Regardless of what type of compensation you choose, the question is: is this appropriate? If we’re production based, are we incentivizing veterinarians to be ethical? Ultimately, I do feel pretty proud of our profession in that most of us are ethical. However, I’ve seen the occasional veterinarian charge for things that made my ethical eyebrows raise (likely due more to poor medicine versus unethical billing.) Regardless, if you see that happening, call it out. Unethical behavior should not be tolerated. Thankfully, I don’t think very many veterinarians compromise credibility, ethics, trust, or patient health for money. Personally, I’m very content with my hourly clinical rate (instead of percentage, etc.). I was also content on ProSal, as I would be more motivated to fit in more emergency referrals (instead of triaging them to see an intern or having them wait a few days to see an appointment, even if they were stable). Again, I feel like things wash out in the end, and if you work as a team, it typically pans out! So which type of compensation is right? It’s up to you, as long as you are mindful of the importance of ethics when developing the model. Are you making the same decisions you would for your pet? Are you making medical decisions based on compensation or the patient’s well-being? Personally, I feel like I have a strong moral code, and don’t have any ethical problem with being paid on commission; however, I stay true to making sure that I’m practicing the appropriate medicine (e.g., doing the procedures, tests, and treatments that I feel are necessary). I do live by the philosophy of treating all patients the same way I would for my own pet, which I think is key. Would I pay for a full diagnostic work-up each time my cat vomiting? No, but I’d definitely do a less expensive blood panel (e.g., venous blood gas, PCV/TS, etc.) instead. (I’m also the person who spent the tens of thousands on my own pit bull’s brain tumor for stereotactic radiation therapy, conversely!). Most importantly, I still know how to keep it real. In other words: I can still practice “street” medicine while helping both the pet owner and the animal. May not be ideal or the “ivory tower” way of doing things, but it is appropriate medication that may save a life while working within the financial and emotional needs of the pet owner. When financial constraints limit hospitalization, treatment, and diagnostics, I’d rather focus on available funds for treatment – not diagnostics – unless it directly impacts diagnosis and care. And the pressure is off – since I’m hourly, I’m ok outsourcing some of the diagnostics to a referring veterinarian (where it’s less expensive to start initial diagnostics such as blood work and radiographs). Classic example? The feline urethral obstruction case with financial constraints. Why waste money on a CBC, chemistry, urinalysis, urine culture, abdominal radiographs (at a cost of $500-800), when I’d rather spend the money on unblocking, pain control, and aggressive IV fluids? After all, we know that when their TPR (temperature, pulse rate, and respiratory rate) is normal, chances are their electrolytes aren’t life-threatening.2 If you’re on commission, you don’t “get” as much financial compensation, but who cares – you just saved a life, right? In my opinion? Production based commission is fine – after all, we went into veterinary medicine to save lives. But realistically, we also need to live and pay off our loans too. While it may seem like an ethical dilemma, know that most of your medical professionals are in the same boat as us. After all, what I learned long ago in Alaska was that veterinarians should be compensated for their time and education… as long as we do so ethically and appropriately. As long as we stick with our ethical guns and ask ourselves these two key questions, I’m still a go for rewarding those who work hard. Lee JA, Drobatz KJ. Historical and physical parameters as predictors of severe hyperkalemia in male cats with urethral obstruction. J Vet Emerg Crit Care 2006;16(2):104-111. I liked what you had to say. I always treat my patients like I would treat my own animals. If I have a client that is wavering about a treatment, or hospitalization I tell them “If this was “Zada” (my dog) I would do this, then….” and I mean it. I, too have to remind myself to practice good medicine and to CHARGE for it. The example of the USG is perfect! I appreciate your comments. I am in the middle of a contract negotiation after 3 years of practice. I am currently under the Pro-Sal arrangement. What I would like to know more from people discussing the subject is how to re-negotiate the terms of percentage and base salary based on prior years performance. For example, I am currently paid a base of $60,000 with a production percentage of 20%. That means I am required to earn at least $318,435 for the practice. Last year I earned ~$470,000. What I struggle to know is what should I request to increase and how much? Should my base be increased or my production percentage? Basically, how valuable am I to the practice? Hopefully that makes sense. Any thoughts on the matter would be very appreciated. I will take any feedback at this point. When in doubt, I’d consult a few other colleagues in the same region as you. I would personally ask for a higher %, but make sure to crunch the numbers on both. In other words, if you had a base of $65K with a 20% vs. $60K with a 25%. See which is more profitable based on your current earnings. Hope that helps and keep us posted! Thanks for the response. We are still in negotiation, but this is what I am thinking of doing. There are two other associates who have similar skill sets and experience as me. I produced 4% more gross revenue for the hospital last year than the next leading earner. Therefore, I think I can make a strong argument that I should be paid at least 4% more than the next leading associate because that is my comparative market worth. I do not purchase health insurance through the hospital so I have no expenses there. I receive $2,000 for CE, $300 for scrubs/smocks, and 14 days of vacation. That’s it. Here is one thing I do not understand about pro-sal. Everything I have read indicates the production percentage is based on the total gross revenue for the hospital. For example, if I earned $400,000 for the hospital for the year on 20% production then I would be paid 20% on the entire $400,000. That is not how it works where I am employed. I must meet a minimum production first and the 20% production is based on the difference. For example, if I am paid 20% production and earn $400,000 for the hospital in gross revenue, but must first earn $350,000 before a production is paid, then I am paid 20% on $50,000 ($400 k – 350 k). Is that a normal way of doing it? We’re not sure – it varies by clinic, but I know this is used. I’d recommend consulting a veterinary consultant or veterinary lawyer who might be better able to guide you! Here’s one for you: Our vets are on the base-plus-share-of-revenue system and have no complaints with it, per se. However, our practice serves both equine and food animal clients and there is a significant difference in the fee structure for charges to those industries for both services and supplies. The result, everything else being equal, is that a vet serving equine clients makes more at the end of the day than the vet serving bovine clients. The way around this in terms of arithmetic is easy enough but I’m looking for cases where this has been dealth with in real life. Help welcome..
Hmmm, don’t have any experience with this – might be worth posting on VIN. Alternatively, what about pooling equine + bovine production together and splitting among the veterinarians? Thank you for writing this. I came across this after being pressured at an Emergency clinic to spend $1000 for diagnostic testing that was not necessary, even after telling them of our financial constraints. We were told our dog “just won’t get better” unless we had an abdominal scan, chest scan & several blood tests done. They even told us we had to pay to have her re-scanned since the first one was blurry. They didn’t do the second scan, but still rolled the $350 into the “hospitalization costs”. We brought her in for a fever. Yes, we had to apply for the Care Credit & all after we were told that if we can’t afford a possible $3000 surgery maybe we should start considering saying goodbye to her. Reading this gave me goosebumps, it was our exact situation. After fluids & antibiotics she was fine. The dx on the paperwork was “fever of unknown origin”. It’s good to hear that there are ethical Vets in this world that are just as disturbed by this unethical practice as patients are. Thanks again.